Image courtesy of washingtonmonthlycom/WASHINGTON MONTHLY Presidents Nixon and Trump both famous for their relationships with media. Trump picks up where Nixon left off. Donald Trump is not the first Republican president to declare war on the media. The Trump Administration’s manner in addressing the press are reminiscent of a similar media blaming president, Richard Nixon. During his term as president, Nixon actively attacked the media harsher than any other president in U.S. history. According to the same article, Nixon had illegal wiretaps placed on reporters who opposed his administration. Nixon also had his Justice Department file anti-trust charges against three television networks, accusing them of monopolistic practices. 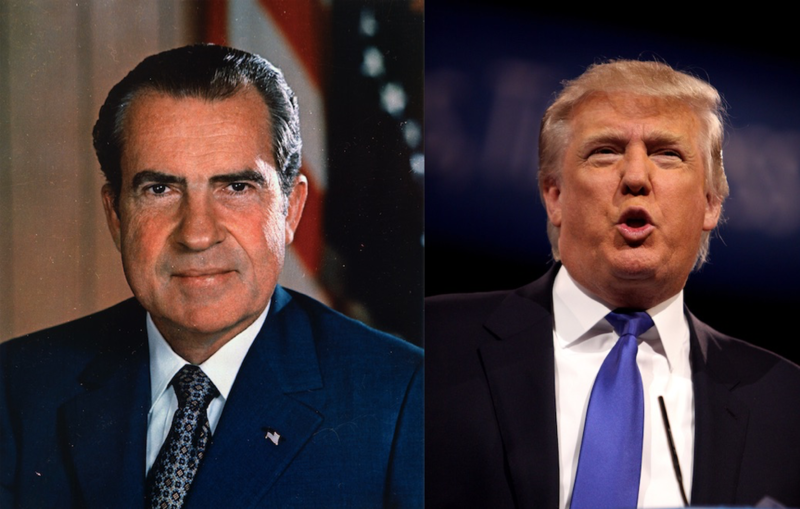 Presidents Nixon and Trump both famous for their relationships with media. Nearly six decades later, Trump follows in his footsteps. The recent scandal with President Trump and CNN’s Chief White House Correspondent, Jim Acosta, is a another very public and sensationalized case of Trump versus the media. Trump repeatedly attacked Acosta and CNN on national television, telling Acosta, “I think you should let me run the country. You run CNN,” said Trump, “and if you did it well, the ratings would be much better.” The recent feud involving the Trump Administration and Acosta has landed the President in court. Trump’s favorite method to attack the media is through social media. Trump often takes to Twitter to share his thoughts and feelings of media outlets. Many of his supporters celebrate his often outlandish comments.